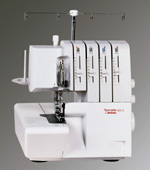 Learn how to thread your machine correctly, how to set the tension correctly and when to adjust for a perfect stitch. Learn all about different needles, straight stitches, how to seam and neaten woven and stretch fabrics, blind and decorative hems, buttonholes, a basic introduction to embroidery, cleaning, oiling and lots of problem solving. Threading your overlocker and adjusting CORRECTLY to achieve a good stitch. Work seams on various weights of woven and knitted/stretch fabric. Roll hemming, using tape and elastics, sewing knitwear, flat lock seams and decorative edges. Cleaning, maintenance and tension adjustments are all clearly explained. How does that work? …we hear you ask. Let Ruth show you how to use the different feet supplied with your machine from the basic foot, buttonhole, zip foot that even the standard machines come with to the top of the range machines that come with all the optional attachments demonstrated for you all to try – any make of sewing machine welcome. Discover the endless possibilities of using twin needles including seam and hem finishes, applying lingerie elastic and a variety of laces, practical and decorative techniques, including pintucks, shadow work, applying ¼" bias for Stained Glass and various other quilting techniques. There are many techniques and accessories to help you sew for the home and family. You will be shown how to save time finishing edges, gathering and ruffling, cutting, making, applying and joining piping and an easy way to put in a zip for covers and cushions, etc. All you need to know about mitred corners whether for fine edged silk, lace edgings, flat hems on table linen, curtains, square corners for bed linens or box corners on cushions. Create perfect mitred corners on quilt and cushion borders, single and double bindings and satin stitch corners. Made and worn by Kerry Heffron 2002. Seam and oversew woven fabrics of all weights. Machine spot marking, accurate darts, neat top and edge stitching with standard or heavy threads., sewing buttonholes and hemming techniques, inserting zips and a simple inside/welt pocket. An class full of hints & tips learning how to insert PERFECT zips for use in cushions, skirts, dresses, fly fronts in trousers and holiday shorts. Pockets with zips for jackets, waistcoats and bags and invisible zips. 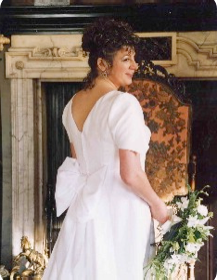 An essential class for both dressmakers and home furnishers.